„I love being active in the mountains. There‘s nothing better than talking and laughing with friends in the evening after a day’s joint adventure.“ CHARLOTTE GILD is part of the Deuter Alpine Family. The certified mountain and ski guide is a mountaineer with her heart and soul. 360° Corporate Responsibility at Deuter Sustainability isn’t just a buzz word at Deuter. Social responsibility and conservation aren’t new to us, they have been deeply rooted in our company for decades. 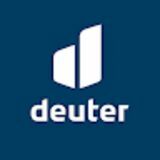 2015 Deuter joined the Partnership for Sustainable Textiles. The initiative was founded by the state of Germany in October 2014 and unites agencies from politics, the economy and civil society. We have been working with our partner ‘Duke’ in Vietnam for over 20 years now. We have been cooperating (and) with our partner Bellmart in China for over 10 years now and since 2015 in Myanmar. Deuter has consciously decided against supplier hopping, meaning the frequent change of suppliers because of more favourable prices. Since 2011 our engagement for proper labour conditions in our factories and also at our company headquarters is monitored regularcompany evaluations by the FWF for our efforts. The Partnership for Sustainable Textiles thus unifies our engagement for labour conditions in the producing countries, environmental protection as well as animal welfare. At the same time it allocates its strengths where we as medium-sized company cannot advance alone. Together with other members projects like supplier training of the deeper supply chain can be implemented. Deuter would not be able to have a direct influence or would have too little influence on the deeper supply chain otherwise. Framework requirements in producing countries can be improved on a governmental level. The Partnership for Sustainable Textiles is still young. Members were asked to define an action plan with precise goals for single areas at the beginning of 2017 for the first time. Starting in 2018 all members must report on their action plans and progress publicly. Goal of the partnership is to combine the strength and expertise of its members in order to bring about social, ecological and economic improvements along the textile supply chain and in the apparel industry. Our demand We are also a bluesign® system partner and have been working on creating eco-friendly production processes and materials since 2008. This isn’t always easy since Deuter makes highly complex products that often consist of more than 200 single pieces. By now 100 % of our production partners are bluesign® system partners. Animal welfare is also important to us. We exclusively use down with the Responsible Down Standard certificate. Eugen and Özlem are true masters of the sewing machine. No matter how old the backpacks are we endeavour to repair them. Deuter has developed different systems specifically adapted to the various sports and their specific demands. A bike pack always has to sit secure and snug on your back – even on the roughest rides. Our unique Airstripes System takes care of that and offers effective ventilation. It consists of two contoured, air-channelled foam profiles that are covered with a highly breathable Wide AirMesh lining. The reduced contact surface results in an optimized fresh air circulation. Also, the pack’s load is kept close to the body and thus won’t throw the rider off balance. Our lightweight backpacks come into their own during endurance sports and Alpine day treks. Reduced to the essential, they are ideal for comfortably carrying light to medium loads depending on the volume. However, lightness must never come at the expense of durability. That is and always was our corporate philosophy, bevause disposable products put a strain on the environment and a backpack that falls apart high up in the mountains can also be dangerous. Up to 25 % less perspiration thanks to the maximum ventilation achieved by the Aircomfort mesh construction. This reduces circulatory stress for more endurance – tested and proven by the renowned Research Institute Hohenstein. Up to 15 % less perspiration as with a standard compact back system (proven in tests conducted by Gabriel L.&T and the University of Erlangen) – combined with outstanding load transfer and a secure, perfectly balanced fit. The Alpine back combines a secure, compact fit for full pack control and full focus on the terrain with a top carrying performance and a comfort­able ventilation between the two softstripe back pads. Our lightweights are designed for everyone who wants to travel light without forgoing carrying comfort and durability. Ergonomically shaped Contact back cushions provide carrying comfort that relieves the back while keeping the weight of the load close to the body and distributing it evenly. DEUTER SL-Team Deuter’s product development team for the women’s specific SL line consists of female designers and top athletes from all disciplines / sports. It’s almost an occupational habit that our experts can never stand still. Since 2006 they are always pushing forward – also when it comes to developing products. carrying systems are adapted to the female anatomy and therefore shorter. to suit taller people with extended back lengths by 6-9 cm. er together and are adapted to slimmer female shoulders. “Friendships, experiences and moods are my motivation! I simply enjoy the moment, no matter if I‘m ice climbing, on ski tours, free riding, paragliding, sport or alpine climbing, alpine tours, mountain or road biking. I cherish mountain adventures with my parents and brothers, my wife and our kids just as much as ventures on mountains like Fitz Roy. Deuter to me is a brand with history – and future!” MICHI BÜCKERS is a certified mountain and skiing guide and Deuter brand ambassador. He started his career as a road bike racer. Today his list of outdoor sports is long and he loves to combine all of them. For mountaineers and Via Ferrata climbers that value a backpack that fits close to the body and offers ventilation at the same time. VERY COMFORTABLE, CONTROLLED FIT WITH EXCELLENT VENTILATION guaranteed with the light Delrin® U-Frame contact back construction. large zipped front opening featured in models with lid. therefore close to the body‘s centre of gravity. At the same time the back is pleasantly ventilated with the open-pore Aircontact cushions and the ventilation channel. straps that run inside the main compartment. Material is secured safely. Backpack can also be compressd while carrying it. for alpine athletes with the carabiner holders on shoulder straps. Trail Series For mountaineers and Via Ferrata climbers that value a backpack that fits close to the body and offers ventilation at the same time. For dynamic multi-day mountain hikers with a bit more gear who need a safe fit close to the body with good ventilation. open-pore Aircontact cushions and the ventilation channel. SAFETY AND ORGANISATION ON VIA FERRATAS for alpine athletes with the carabiner holders on the shoulder straps. For day hikers who value lightness with maximum ventilation. the loss of fluids by up to 25 %*. it always jumps back to its original shape after deformation. Futura 22 SL – 30 EL: For athletic day-hikers who value maximum comfort with maximum ventilation. Futura 24 SL – 34 EL: For dedicated day-hikers and multi-day-hikers who value maximum comfort with maximum ventilation. For athletic hikers who value maximum comfort with maximum ventilation on multi-day hikes. AIRCOMFORT MESH NET An elastic spring steel frame provides tension for the mesh net, providing a ventilation space between backpack and the back area, allowing damp air from the body to dissipate. VARIFLEX ECL HIP FINS The flexibly moveable VariFlex ECL (Ergonomic Comfort Lock) hip fins with their ergonomic pads custom fit the hips to allow energy efficient and comfortable carrying of medium loads. For pleasure-seeking through hikers who value good load transfer with maximum ventilation. ACTIVEFIT SHOULDER STRAPS Agile ActiveFit shoulder straps fit comfortably through their self-acting adjustment to width and angle of the shoulder area. perfect fit for every back lengths. SAVE ENERGY while carrying through auto-adjust VariFlex ECL hip fins. They custom fit to the hips and distribute weight comfortably thanks to ergonomic pads and a gap-free transition from the back system. Up to 70 % of the load is transferred from the back to the hips via an arched profile frame made of permanently elastic, break-proof spring steel. Lightweight and flexible, its ergonomic shape ensures a perfect fit combined with freedom of movement. For dynamic mountaineers who value lightness and freedom of movement. ERGONOMICALLY SHOULDER STRAPS Carrying comfort and perfect fit through ergonomically S-shaped shoulder straps with easy to adjust chest strap. OF MOVEMENT and an optimum load centre thanks to the unusual athletic V-cut. For dynamic mountain hikers who value lightness, ventilation, and purism. DELRIN U-FRAME Stable and pleasant load dis­tribution with minimal weight provided by the flexible and tensioned Delrin® U-frame. for multi-day tours, weighs in at barely 870 grammes. and compact contact back system makes for a successful interplay of carrying comfort and stability. The pleasantly ventilated back panel always convinces, even in challenging terrain, through a safe fit. SOFT, SNUG FITTING HIP FINS The backpack fits compact through light and airy hip fins. They are easy to adjust even with bigger loads thanks to the Pull-­Forward straps. Zugspitze: For day hikers who want to be versatile with maximum ventilation. Gröden: For day hikers with need for more room who want to be versatile with maximum ventilation. “I like doing what I call ‘long-distance mountaineering’, where I undertake lengthy, sometimes technically demanding, solo projects in areas that are less developed in terms of infrastructure. I usually bivy along the way. Spending nights outdoors is one of the biggest attractions for me. I find it’s the only way I can be fully present and aware of everything around me. Instead of trying to go faster, higher and further, I prefer to be healthy, sustainable and responsible. I’m with Deuter because my backpack is my constant companion throughout my projects and theirs have never let me down.” ANA ZIRNER assists Deuter with backpack development and carries out extensive testing. Originally from the Bavarian Alps, this determined woman carried out a solo traverse of the Alps from East to West in 60 days. She crossed through five countries and covered 1,900 kilometres. She recounts her adventures in the mountains on her blog page. The detachable lid can be transformed into a small backpack in just a few steps. thanks to their flexible attachment. the strong sacrum and pelvic bone. individually to any back length with the multistage adjustment system. For ambitious through hikers who value low weight and high carrying comfort. VARIQUICK ADJUSTEMENT The back system can be adjusted to the individual back length quickly and easily for an optimal fit with the convenient length adjustment system. an effective transfer of weight. pact, ECL hip fins that custom fit the hips. Special pads precisely adjust to the hip and provide stable and comfortable hold of the load. For globetrotters and explorers seeking a ventilated, comfortable heavy-duty backpack that offers freedom of movement. MAXIMUM COMFORT: pivoting ActiveFit shoulder harness adapts individually to the wearer. EXCELLENT VENTILATION due to open cell foam technology. easily at the flick of a buckle. VariFlex hipbelt. The Aircontact Pro carrying system is designed for loads of up to 30 kilos. PIVOTING VARIFLEX HIPBELT REDUCES FATIGUE and with its ergonomic 3D design, shaped by sewing craftsmanship, the load gets evenly distributed without any pressure points. and large opening along the entire length of the rear. •	two material loops for quickdraws, etc. •	practical grips on the back. back system of our lightweight backpacks. The flexible, tensioned Delrin® U-frame provides stability and comfortable load distribution at minimum weight. THE BACKPACK IS HELD CLOSE TO THE BODY by a detachable chest strap (Gravity Rock&Roll) or airy-light mesh hip fins (Gravity Expedition). RELIABLE CLOSE BODY FIT for demanding terrain thanks to a padded back with ventilated 3D AirMesh covering. fit. The channel between the pads provides extra comfort by creating a “chimney” effect ventilation. For extreme climbers looking for a haul bag and backpack in one to carry heavy big wall gear comfortably. Freerider Lite For ambitious freeriders and ski mountaineer who need a light backpack with winter attributes for day tours. Delrin® U-frame provides stability and comfortable load distribution at minimum weight. by soft, body-hugging hip wings with close-set anchor points. For chill freeriders and ski mountaineers who want a comfortable backpack with winter attributes on day tours. For technical freeriders and ski mountaineers who need a comfortable backpack with maximum range of features for day tours. pivoting VariFlex hip fins save energy and provide great freedom of movement in difficult passages. •	easily accessible, zipped, fleece-lined pocket for goggles, smartphone etc. For ascent-oriented winter sports athletes who value low weight with a secure, close to the body fit and winter attributes. For ascent-oriented winter sports athletes who need a comfortable heavy-duty backpack with winter attributes for multi-day tours. GOOD LOAD TRANSFER COMBINED WITH MINIMUM WEIGHT thanks to an flexible Delrin® U-frame. It follows the most varied movements with absolute ease. For ambitious mountain pros who need a puristic and light backpack with a secure fit close to the body. RELIABLE FIT CLOSE TO THE BODY for demanding terrain thanks to a padded back with ventilated 3D AirMesh covering. regulate weight transfer and add extra stability. For routine mountaineers who value a comfortable and secure fit and durability. Alpine Back System keeps the load PERFECT LOAD TRANSFER TO THE HIP FINS through the ergonomically shaped removable X-frame made of multi-chamber aluminium profiles. close to the body’s centre of gravity. The Softstripe pads on these slim-line alpine backpacks adapt to the wearers back with every movement for a close and reliable fit. The channel between the pads provides extra comfort by creating a “chimney” effect ventilation. FREEDOM OF MOVEMENT ON DIFFICULT STRETCHES thanks to pivoting VariFlex hip fins follow complex body movements. For weight reduction and better access to the climbing harness, the hip fins can be easily removed. The backpack can thus be carried just with the waist strap, which is also removable. “Being in the mountains means ex­pe­rien­ cing special moments and sharing them with like-minded people. You keep going higher, the view gets more beautiful with every step you take, you feel nature and yourself. Having a good time with friends means a lot to me. It doesn’t matter if I’m climbing, mountaineering, mountain bik-­ ing or ski mountaineering: to me it means experiencing freedom and in­de­­pen­dence. I always feel good with Deuter’s back­ packs and sleeping bags. Being part of the SL-Family I know that they keep im­ proving their packs in cooperation with athletes and their requirements in mind.” KATHRIN WEBER is part of the Deuter SL-Family and contributes to the further development of the ladies backpacks. Aside from her sports and biology studies she is also majoring in health and performance sports. She is a specialised trainer for mountaineering and skiing. The feeling of freedom in the mountains is what draws the allround-mountaineer to them year-round. will be entirely free from PFCs. Fit models feature a soft, cosy fleece lining in the hip zone and the foot box and are perfect for women up to 175 cm. EQUAL FILLING ON TOP AND BOTTOM FOR 360-DEGREE-WARMTH As with every Deuter sleeping bag the construction of top and bottom is identical and the filling is equally thick. Because we know: people move in their sleep, even if the EN-norm is tested lying on the back in the lab. We guarantee the stated range of comfort temperature in any sleeping position. ANTI CATCH ANTI-CATCH STRIP The zip is guaranteed not to jam as it glides from top to bottom thanks to a wide anti-catch strip. perature in any sleeping position. foot area - isn‘t pressed together. bles restful and comfortable sleep. The insulation characteristics remain and reliably ensure warm feet. THIS HANDY SIZED, PFC FREE SLEEPING BAG is ideal for mountaineers that value low weight. This makes the summer sleeping bag with synthetic filling perfect for travels, a night at a cabin, or a bivvy. This light-weight sleeping bag packs down super small and easily fits in smaller backpacks. For our youngest outdoor aspirants. A durable companion that grows with the child to ensure they’re well-kept when camping. For campers who would like a resistant, cosy companion with lots of leg room for their trips. For the outdoor offspring that would like a durable companion when camping that grows with them. For the outdoor offspring that would like a resistant, cozy companion with lots of leg room when camping. *Norm EN ISO 23537:2016 Temperature ranges are not available for child sizes. For dynamic athletes and travellers who would like to keep their luggage compact with extremely light and small packable sleeping bags. “I’m a passionate mountaineer spending both summer and winter in the mountains. Since I‘m a mother of a small daughter I can pass on my passion in a whole different kind of way. I also see the mountains from a new kind of view. Challenging tours in the mountains are as fulfilling to me as spending time outdoors with my child, playing next to a creek or in a beautiful meadow and finding critters. I really value the quality and functionality of the Deuter backpacks. This is important to me as a mountain guide as well as a mother.” HEIDI HARDER is a certified mountain and skiing guide, trainer and coach. She supports Deuter in the development of the women‘s line of backpacks and the child carriers. The athletic woman from the Allgäu in Germany is at home in the mountains and enjoys passing on her passion for mountaineering to the next generation. Kid Comfort Aktive: For parents looking for a safe and light child carrier. Kid Comfort Aktive SL: For mothers that hold their own and want a child carrier that fits them extremely well. Slimmer SL-shoulder straps and conically shaped SL-hip fins are especially adapted to fit the female anatomy. LIGHTWEIGHT With less than 2,5 kg net weight this child carrier can easily be taken on tour. with the child already in the seat. hold their own. The slimmer shoulder straps that also lie closer together have a distinct S-shape, soft edges, and run slimmer towards the end. Conically shaped hip fins fit consistently snug to the female hips. er can be adjusted with the VariQuick System to the respective parent quickly in only a few steps. For parents looking for a safe child carrier with top comfort for their kids and themselves to explore nature together. can be put on top of it. cessory) can be put on top of it. not in use it can disappear in the carrier’s bottom compartment or you can use the compartment as an additional storage space. ners of the cockpit. The pillow itself is easily removed and washable just like its cover. ensures the parentâ&#x20AC;&#x2DC;s back is maximally ventilated. the sides. Adjusting the height is hassle-free even with the child already in the seat. ing systems of our backpacks and a little broader and larger than on our SL-models. Kid Comfort Accessory The flexible and durable sun roof is securely attached to the Deuter child carrier with buckles. The sun roof protects the child from UV-rays and provides pleasant shade. Easy to stow thanks to its flexible construction. Fits the Kid Comfort Active, Kid Comfort Active SL, Kid Comfort. Kid Comfort Accessory The complete rain and wind protection for the child carriers. Fits all child carriers with a sun roof. Kid Comfort Accessory Our child carriers can be upgraded with the large, ergonomic pillow. It protects the tired child's head and gives support even in the corners of the cockpit, enabling a relaxing nap. The soft pillow and the removable cover are washable and easy to remove. The press-stud attachment fits all current Kid Comfort models. Kid Comfort Accessory The height-adjustable foot loops for our child carriers are also available separately. They are now adjustable to accommodate different foot and shoe sizes. Kikki A good friend adventures for children starting at three years. Free of PFC and produced according to the worldwide strictest standard for environmental protection. For children from age two who would like a small and light backpack which is extremely easy to use. For children from age three who want a versatile kindergarten backpack which is extremely easy to use, this is an absolute classic. Contact System CARRYING COMFORT and perfect fit through ergonomically S-shaped shoulder straps. PADDED, LIGHT BACK with a breezy cover ensures a snug fit and balanced distribution of load. For young, trend conscious adults in an urban environment that want to travel stylishly with minimum weight. Giga Series For urban commuters who value functionality and carrying comfort – the SL models are ergonomically optimised for the female anatomy. OUTSTANDING AIR CIRCULATION means less sweating: Two airchanneled foam strips and an airmesh cover ensure as little back contact as possible. FITS LIKE A GLOVE through ergonomically cut S-shape shoulder straps. struction made from one soft and one firm layer of foam. The Giga Bike unites the inside qualities of our office range with the outer features of the bike specific packs. For urban commuters who value functionality and carrying comfort – the SL models are ergonomically optimised for the female anatomy. For trendy urbanites who also want to express their athleticism and style in an urban setting. X V3 For trendy urbanites who also want to express their athleticism and style in an urban setting. For active urbanites looking for multi-talents with dynamic elegance you can travel with. closed side pocket for mouse, cables, etc. For active roamers who value versatility and functional design. Relay Series For athletes and and travellers who would like simple features and durable quality. For commuters and travellers who would like to carry the roomy suitcase-trolley comfortably with a coverable back system. sages where you have to switch between rolling and carrying. FOR CARRYING THE HELION A LONGER DISTANCE to add comfort bring out the ergonomic hip wings that also cover the wheels. For athletic, active travellers and globetrotters who would like practical suitcase features combined with a comfortable carrying system for walking passages. IN COMFORT thanks to a stowable back carrying system with flexible X-Frame and ergonomically shaped hip fins for perfect load transfer. U-shaped zip opens the main compartment fully. Alternatively a divider can be zipped in and the bottom compartment loaded separately. IN COMFORT thanks to a stowable back carrying system with aluminum stays and ergonomically shaped hip fins for perfect load transfer. Transit Series The Transit is the ultimate partner for trips abroad in its stylish design and timeless colours. •	Antimicrobial technology blocks bacteria growth in the bladder. •	The special film inside the bladder is as smooth as glass. Due to the special molecular properties, this system is very hygienic, taste-free and easy to clean. •	with light pressure the drip-proof mouthpiece is activated and flows at a comfortable rate. The integrated spring valve causes the mouthpiece to shut automatically. Biking | Hiking | Mountaineering | Trekking EASY CLEAN •	full width top opening for easy filling and cleaning. Absolutely leakproof thanks to the easy to use sliding clip. ANDY RIEGER is part of the Deuter Bike Family and helps in developing the biking backpacks. He’s been on a bike since he can remember. He’s a certified bike guide and biking technique trainer, founder of the mountain bike riding technique training school HappyTrails.de and instructor in the nationwide educational team of the DIMB. What Andy’s best at? Playing bike! For professional trans-alp bikers that value the perfect fit during all riding situtations as well as a functional distribution of pockets. low the bike to be carried safely. to keep wallet, tool, pump etc. The load adjustment straps are loosened to carry the bike. compartment remains easily accessible thanks to two variable attachment positions. material allow free circulation of air along entire back. back cushions and so fit extremely well. They make a stable and firm fit possible and transmit the weight evenly to the hips. The hip belt construction with automatic side compression and PullForward system adjusts the backpack with a single move. FLEXIBLE SHOULDER STRAPS GUARANTEE PERFECT CARRYING COMFORT The ActiveFit shoulder straps automatically adapt to every shoulder shape and every move. side zipped pocket on back for smartphone, map etc. For mountainbikers that value ease of use and good organi­sational qualities: from the trail in the mountains all the way to the ice cream shop. TOOLS AND FIRST AID KIT in front flap pocket. BILITY FOR HELMET, GEAR, ETC. uninhibited access to main pocket. For touring bikers who want a multi-day pack with firm fit for safe riding and pleasant ventilation for steep ascents. THREE FABRIC ZONES FOR OPTIMUM COMFORT: soft on the shoulder straps, airy on the back padding and smooth in the hip zone. guarantees the Airstripes system. The backpack sits closely and firmly on the back and cannot swing outwards. The channels in the Airstripes padding and the special chimney effect between the stripes allow free air circulation on 80 % of the wearer’s back. versatile, elasticated from pocket for helmet, jacket, etc. For touring bikers who value versatility, firm fit, comfort and ventilation on day tours. THE SPINE HAS AMPLE ROOM IN A SPORTY RIDING POSITION in the channel between the stripes and ventilation is supported. 80 % of the wearer’s back. guarantees a compact, precise fit. For enthusiastic bikers who value low weight and a lot of comfort on day rides. and ventilation thanks to air channels in the padding. Road One For performance-orientated cycle racers who need a minimalist, light pack for longer distances. WITHOUT A CHEST STRAP allows access to your jersey’s side pockets. COMPACT 6: Aimed at mountain bikers who value low weight and lots of comfort on short but fast rides. COMPACT EXP 10 SL, EXP 12, EXP 16: For enduro riders who want a comfortable backpack with good grip for rough terrain and perfectly designed functionality for day tours. – the compact, bike specific shape of the pack makes sure the backpack never interferes with the helmet even in riding position. and back and the chimney effect between the straps ensures air can circulate freely around 80 % of the wearer’s back. STURDY, STAY-IN-PLACE FIT IN EVERY RIDING SITUATION thanks to airy, light and supple mesh hip fins. large zipped pocket with organiser and key clip for stowing mobile phone, wallet, tools, etc. For ambitious enduro riders who want a certified back protector and a comfortable backpack with good grip for rough descents. thanks to anatomically shaped shoulder straps with narrow anchor points that automatically adapt to shoulder width and angle. dle, allow the air to circulate freely. •	mesh side pocket for multi-tool, etc. labs and are therefore assured. to their properties and they are robust and tearproof. models. It also keeps warm in the Orbit SL models. the market are absolutely robust and reliable. ed into several different chambers by internal partitions. ble tension of the back net. performance filling ratio of 90% down to 10% small feather (90/10). with a thin layer of silicone to give it good lofting properties. good; of 650 - excellent; and 800 is almost impossible. In the end: the higher the volume the better the insulation value. sturdy and durable to extremely light textiles.